Favours the protection of sensitive mucous membranes. 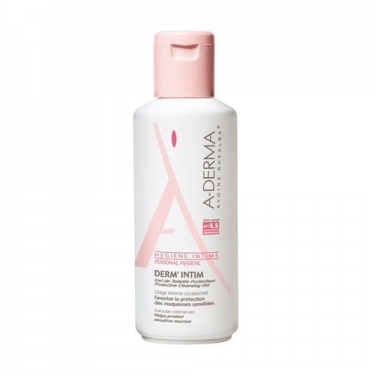 DESCRIPTION: DermIntim Gel de Toilette Intime from A-Derma is an intimate hygiene product for daily external use. Soft wash base with rhealba oat extract, glycerine and pH 5.5. for a gentle, moisturizing, protective and balancing cleansing action. Gently wash the skin without causing discomfort. Protects, softens and respects the vaginal flora. It does not affect the pH of the mucosa. Ideal for daily intimate hygiene.